Fall is a spectacular time of year. As the last signs of summer simmer away, and hints of winter begin to creep in, a surge of excitement begins to mount in Whistler. 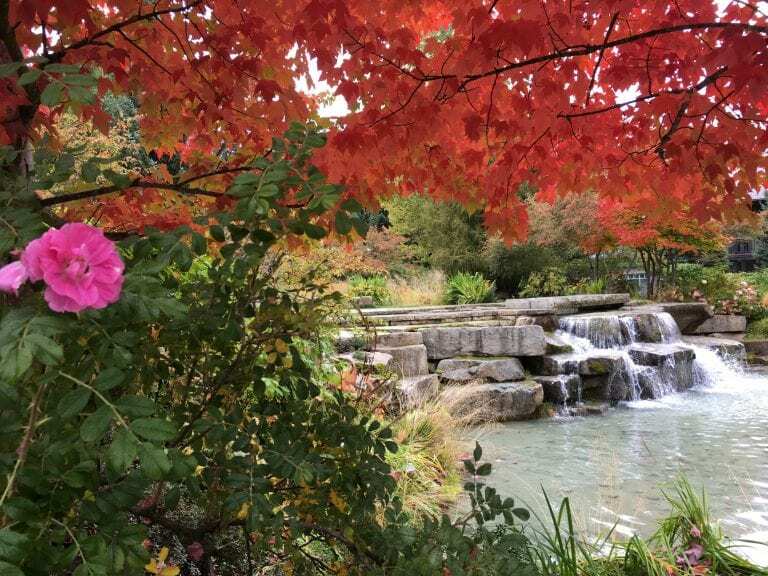 Fall used to be considered a season for the locals, and although it is certainly a quieter time of the year for tourists, events such as Cornucopia and the Turkey Sale lure in our regional visitors with cheaper hotel rates to entice weekend escapes. Our seasonal workforce begins to arrive from around the world and the first few signs of snow puts everyone into a frenzy. Even though the bike park is closing and the ski season is yet to begin, there is still plenty to do in Whistler during autumn, here are 5 things to do in Whistler this Fall. Fall is a beautiful time to get outside and observe nature. Whether taking in the sights on the Valley floor or seeking a higher vantage point in the alpine, the changing colours of the leaves, descending snow line and the crisp fresh air is something that must be taken in and enjoyed. We are so blessed by the beauty of mother nature here in Whistler, and Fall is so vibrantly present in this special part of the world. Not long until opening day of Whistler Blackcomb in late November. From now until then expect great deals on gear, including at the legendary Turkey Sale which takes place over Canada’s Thanksgiving Weekend. If you’re already covered in the gear department now is the time to get your body in shape for the upcoming winter season, wax those skis and pack up the summer stuff to get room for the winter equipment. Fall in Whistler is famous for epic dining specials. Top notch restaurants like Araxi, The Bearfoot Bistro and Rimrock offer blow out menu specials such as 5-course tasting menus for under $50! Not only can you take advantage of these dining specials for most of the Fall season, Cornucopia, Whistler’s most notable food and wine festival takes place from November 9 to 19. Savour mouth-watering cuisine at events such as Crush Grand Tasting, Poured, and long table lunches. Fall is the season for the Arts with numerous art events taking place at various venues around Whistler. Whether you fancy visual arts, music, theater (or everything in between) then make sure to check of the schedule of what’s on and work it into your calendar. Things tend to slow down a bit in Fall and after a busy summer, it’s a great time to check in to your dental routine and make sure you’re up to date with check-ups. Have a dental plan? There may only be a few more months left for you to use your annual benefits so make sure to schedule any necessary or cosmetic dental work now before your benefits lapse for the year. Here at Whistler Dental we absolutely love this season! Fireplaces, hot beverages and the changing colours of nature. Wishing everyone a lovely autumn, and we hope to see you here at Whistler Dental this season. Stop Grinding Your Teeth! 5 Tips To Stop Grinding The Top 5 Dental Myths Busted!